New chassis technologies from BWI Group, a global specialist in braking and chassis systems, have been selected by Land Rover to help meet the design objectives of the new Range Rover Sport. 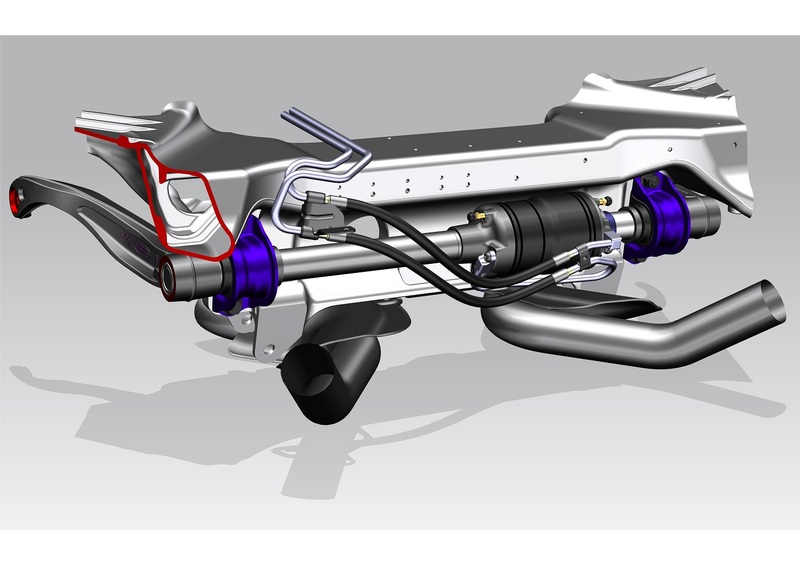 The new vehicle, which enters production during 2013, will use BWI’s latest air suspension and active roll control (ARC) actuators to allow combination of dynamic performance and off-road ability. Both the roll control actuators and the airsprings are assembled at BWI’s plant in Luton (UK). 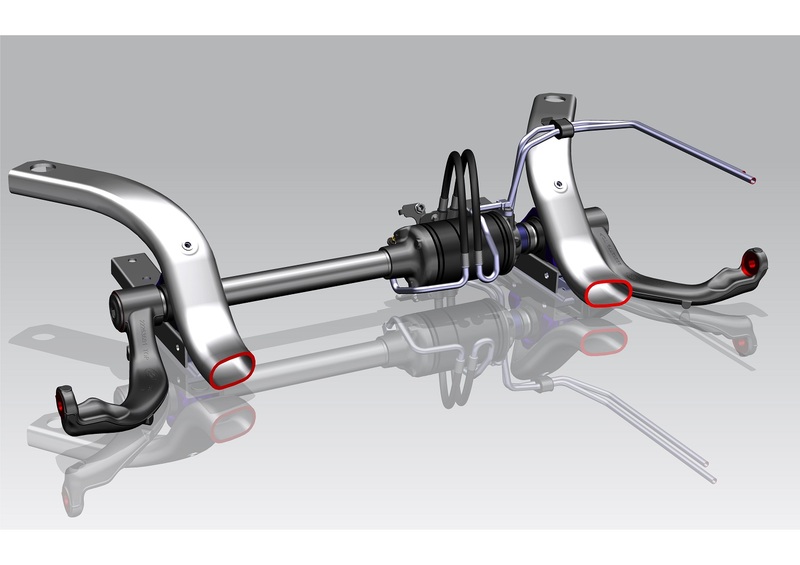 To meet Land Rover’s challenging design request, BWI worked with specialist supplier Firestone to develop a new air sleeve for the company’s air suspension modules. A bespoke nylon-reinforced rubber compound was developed with exceptional hot and cold climate performance and the wall thickness was reduced to cut hysteresis. These changes, together with detailed component optimization to reduce friction, have helped achieve outstanding absorption of small road irregularities. To provide the protection and durability needed for off-road activities, the air sleeves are sheathed in an aluminum restraining guide. Weight has been reduced through careful design analysis and by increased use of aluminum. BWI technology is also central to the Range Rover Sport’s new Dynamic Response system, which is calibrated to almost completely eliminate body roll at cornering forces up to 0.4 g. The company is supplying elements of its proven Active Stabilizer Bar System (ASBS), including the ball screw rotary actuators that provide roll-control torque up to 1,500 Nm. 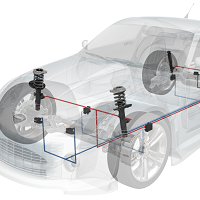 When cornering forces are detected, the front and rear actuators apply a counter-acting rotational torque to the vehicle chassis via the cast lever arms of the stabilizer bar system. Independent control of the front and rear roll stiffness allows real-time optimization of the oversteer / understeer characteristic, improving turn-in, comfort and safety. The BWI actuators now offer 134 degrees of rotation compared with 90 degrees for the previous generation system, helping Land Rover’s engineers deliver 260 mm of wheel travel at the front and 272 mm at the rear to further improve off-road ability. The high angular articulation also increases packaging flexibility, allowing a compact architecture that does not require intrusion into unrelated spaces. 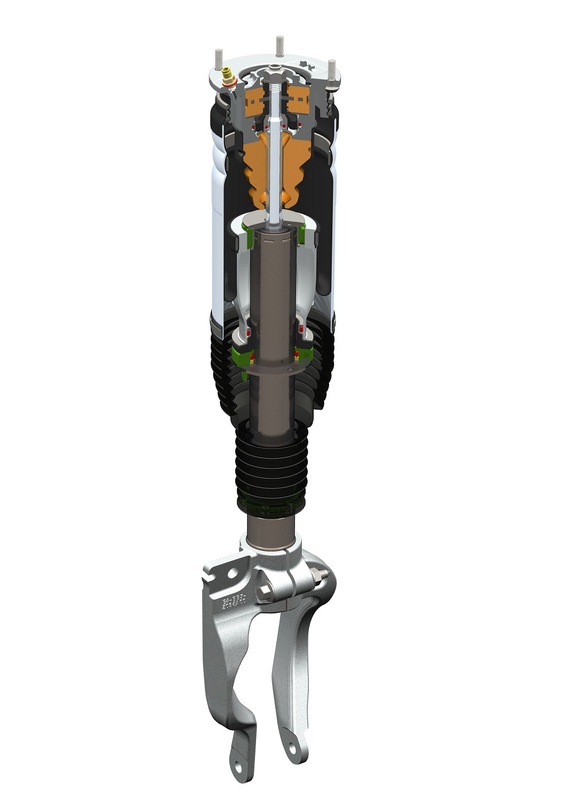 The system is also shorter than the previous generation system, thanks to a reduced ball screw length. 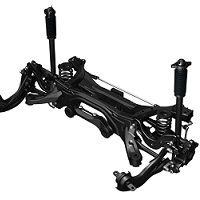 Mass has been reduced by 2.4 kg at the front and 2.2 kg at the rear, largely through the use of hollow torsion bars with cast splined lever arms, also supplied by BWI. Jaguar – Land Rover has been fully owned by Tata Motors since 2008. Do you think that the technological choices that we see coming up today in those vehicles were done by Tata project managers? Why do boards so effective?